What do all parents want for their kids? 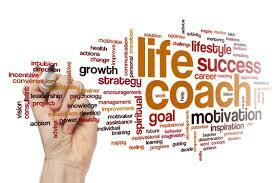 LIFE COACH TO THE RESCUE! 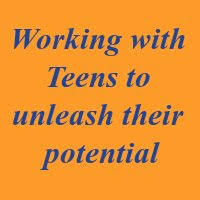 Working with teens to unleash their potential! 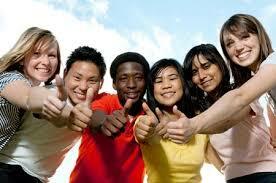 Let me help your teen ROAR! The teen years are challenging and sometimes you hit brakes wondering. At certain points, you both may be desperate to make some progress on certain aspects in life that are creating challenges. Or even coping with some sadness or disappointment in life such as a death or a divorce. I am a Martha Beck trained Life Coach whose techniques will be very therapeutic for your child in the long run. Your teen will be able to go back to these techniques on his/her own and use them solo when needed. I have taught and mentored teens for 32 years in public and private schools; I have had many life experiences nationally and abroad mentoring children of all ages and nationalities and Third Culture Kids. I have three of them! •break down his/her limiting thoughts and beliefs that hinder enjoyment of life and success. •expand his/her perceptions and open up creative potentials and options. •strengthen relationships with family & friends. •be happier in his/her own skin. •connect to his/her original instincts and embrace their his/her greatness! ...means no need to drive anyone anywhere and can be done with kids anywhere in the world, Kids have a bit of anonymity and feel more comfortable letting loose, and I will give occasional email and/or text support if needed.